The Suzuki teaching method (also known as the Suzuki movement) is a method of teaching music conceived by Japanese violinist Shin’ichi Suzuki (October 17, 1898 – January 26, 1998). Suzuki noticed that children pick up their native language, and even ‘difficult’ dialects easily. He concluded that the environment where the children live affects this ability, and he decided to adapt his teaching method and philosophy to enable kids to play music as naturally as they would pick up a new language. The fee covers weekly 30 mins individual guitar lessons, and one 45 mins group guitar lesson on the last Saturday of the month. The fee covers weekly 30 mins individual guitar lessons. I was born in Singapore to a warm and loving religious family. My sisters took keyboard lessons, I somehow felt naturally drawn to the guitar. My exposure to music probably began when I was a toddler listening to Choir singing and Organ music during Christmas and ordinary Sundays’ church mass. I recall many moments when I was filled with awe by music in church when I was a little boy. My uncle, Peter Gonzales, is a fantastic pop and jazz guitarist who often filled my grandmother’s home with guitar music and performs for our relative weddings and functions with his band. There were sweet memories of relatives dancing and celebrating the occasions with wine and music. I was also influenced by my cousins, Matthias and Jacob Wee, who are guitar players and taught me my first chords when I was 12 years old. I also recall how my dad would go around the house singing “All I Have To Do Is Dream (Everly Brothers)” to my mother and continues to do so till today. 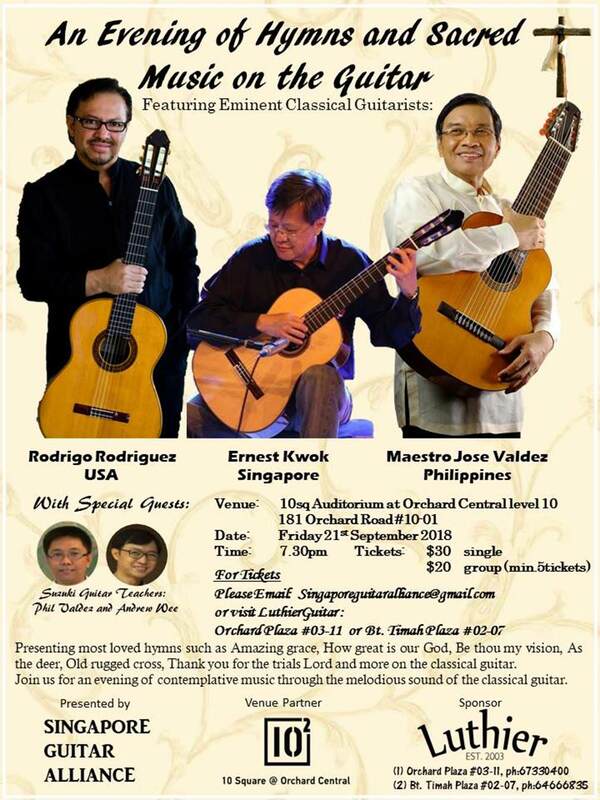 These accumulated events were truly inspirational to me and at 15 years old, on the recommendation of my cousin Jacob, I began my first formal classical guitar studies with local classical guitarist Ernest Kwok. Ernest is truly a pivotal figure in introducing me to the world of rich guitar music. His playing is exceptionally exciting, inspirational and accurate. In his small guitar studio, I find myself being momentarily transported to the Streets of Granada, the castle of Alhambra, matador and bull fights and lovely European classical music when he performs pieces such as Asturias, Sevilla by Albeniz, Recuredos de la Alhambra by Tarrega, Dance Of The Miller by Manuel de Falla, La Catedral by Barrios, Variations on the theme of Mozart(magic flute) by Sor etc. Well…That was it! It was mind blowing and just too inspirational for a 15 year old boy! With that, I made the decision to be committed to study the classical guitar seriously. Years forwarded, I now find myself performing with the instrument, playing with my guitar ensemble every Saturday, playing for church masses every Sunday, performing for weddings and eventually making the decision to leave my job in a research laboratory to teach guitar full time as my heart desires. 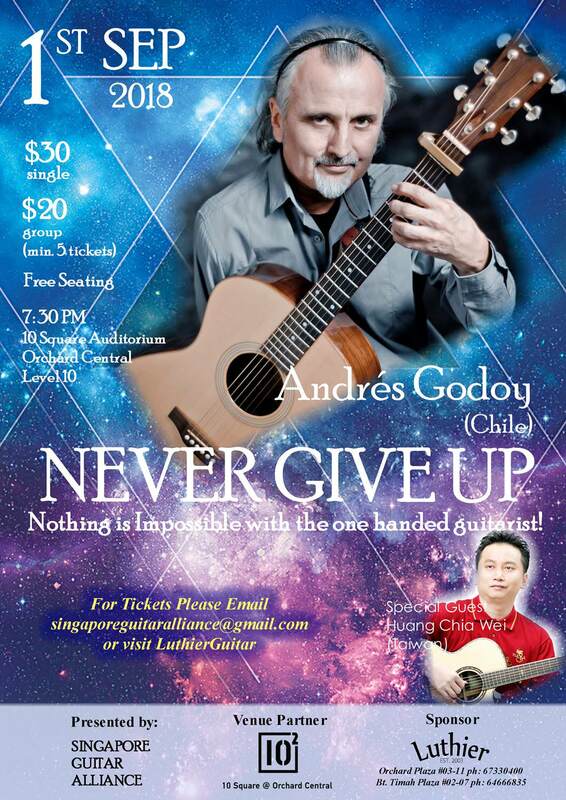 Suzuki Guitar is almost unheard of in my years of being involved in the guitar scene. That was when my impression of Suzuki is either a Japanese motorcycle brand or a “peculiar” way to teach kids the violin. That was all I knew. It was in 2003 that my guitar ensemble partner Marcus suggested to his 4-years old son to learn the guitar. He had an idea that it would be cool forming a father and son guitar duo. 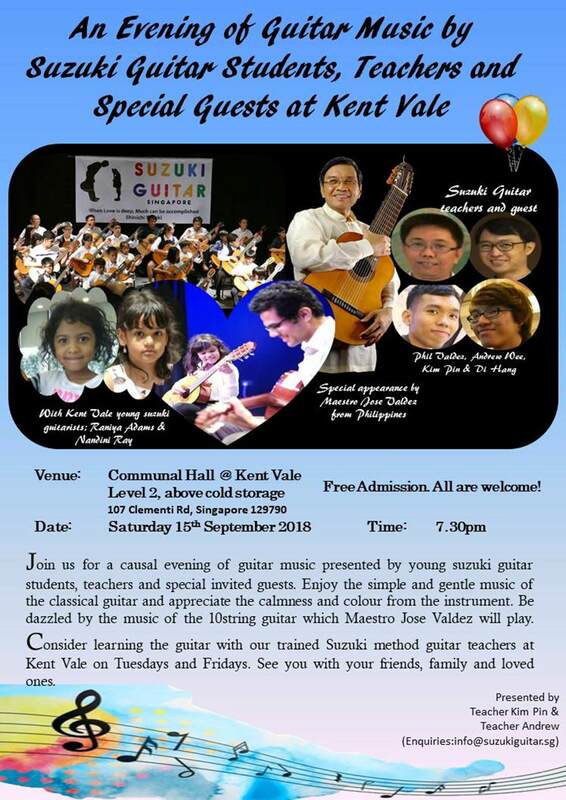 What Marcus found out was that there were no guitar course in Singapore that has a program for young kids unlike piano, violin and cello program which were available for children as young as 3 years old. That was when I decided to be a Suzuki Guitar instructor. 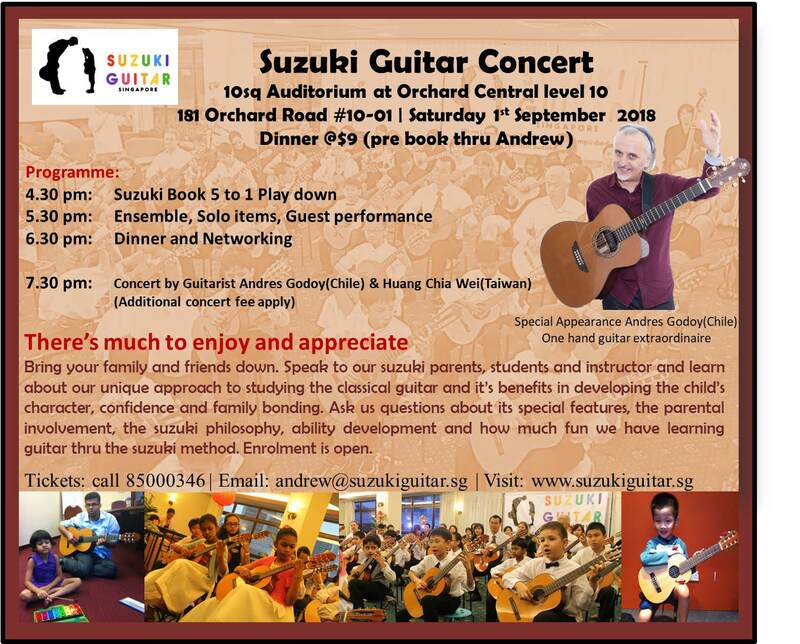 I see my calling to be a Suzuki Guitar instructor after witnessing the love between Suzuki parents and child at Longay conservatory of guitar in California. Music is a very powerful form of Arts. The reason that we introduce music learning in our children must be with hope that the learning can give them a beautiful heart and make them good people. When music is truly appreciated, the person will have a beautiful heart. Pepe Romero once said: Music is a manifestation of Love. If you are touched by music, you are touched by Love in a very pure way.